I was feeling the need for a new springy purse. 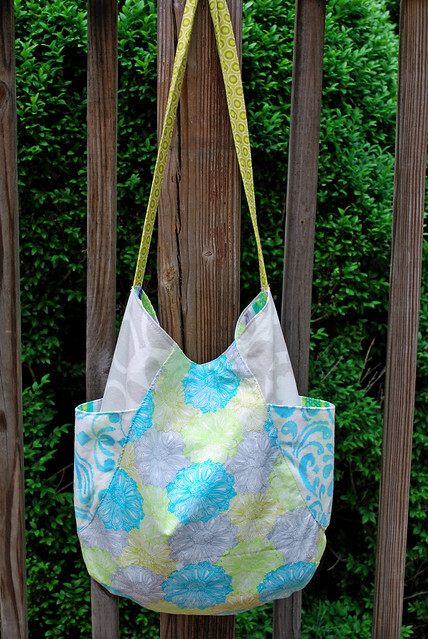 Since I knew I wouldn't have time to work on the quilt this week, I decided to make myself a purse. Harper asked me what I was making and when I told her a purse she said, "you are always making yourself a purse." 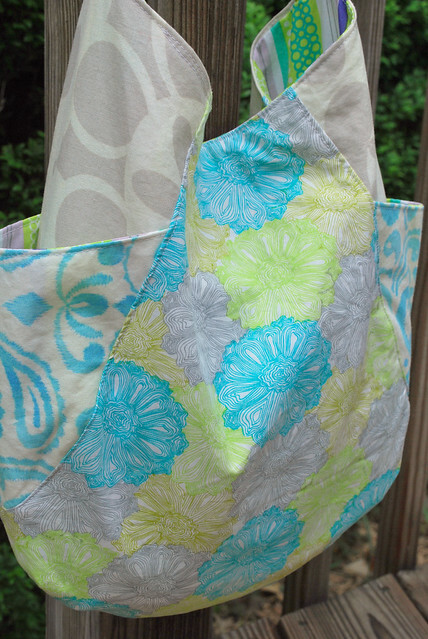 I used the 241 Tote pattern by Noodlehead. I really like how it turned out. 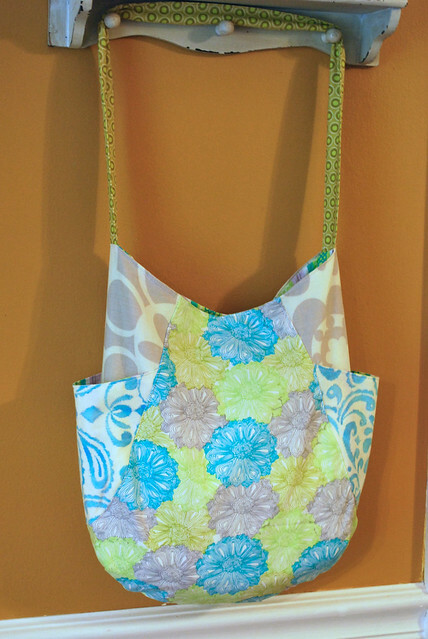 The side pockets aren't deep enough for a water bottle, but they are perfect for a set of car keys. We will see if it gets as much use as my Lickety Split bag. I finally received my walking foot and did a little practicing this weekend. I think it is going to work like a charm. Now I just need to find the courage to conquer the quilt.